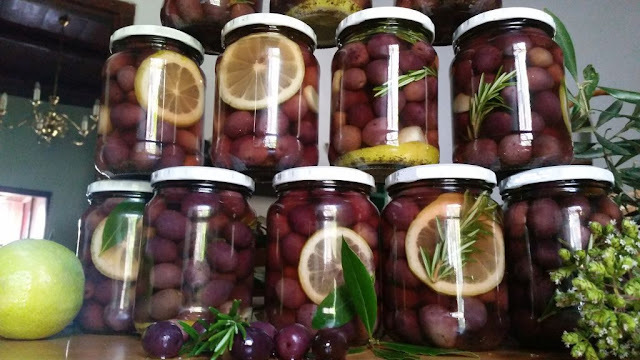 The first weekend of December is becoming the traditional time for olive preserving at Towerwater. On Saturday, our friend Susan from “Ligspel”, in the neighbouring Klaasvoogds valley, brought me a five litre bucket of olives to bottle. 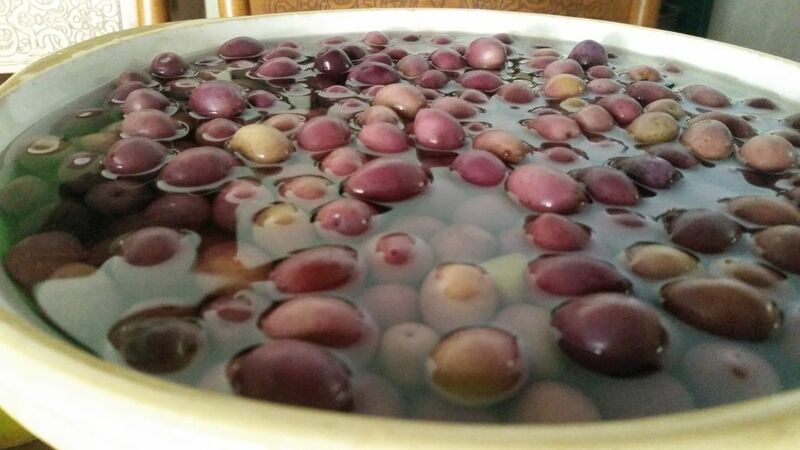 With several months of curing already completed on the farm, the laborious part of preserving the olives was already done for me. I could now focus on the fun part of preserving the olives, that is, the personalised flavouring and the bottling. 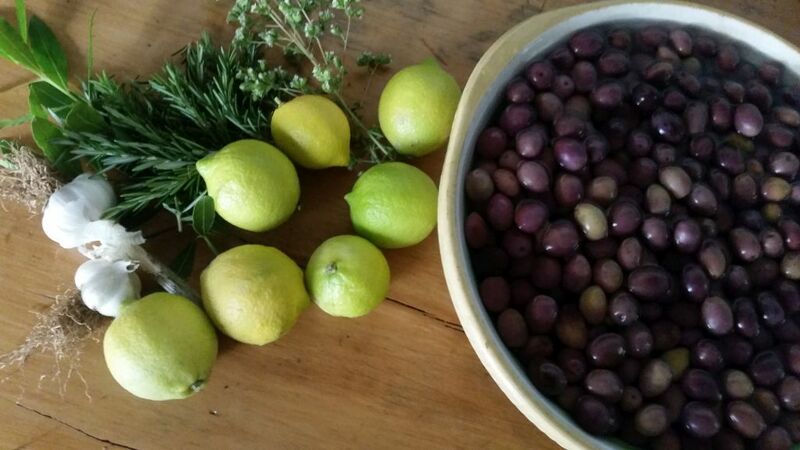 With the new season garlic freshly harvested and cured, I decided to use our fresh garden produce of garlic, lemon, bay leaves and rosemary, as part of the Klein Karoo styled flavour for this year’s olives. 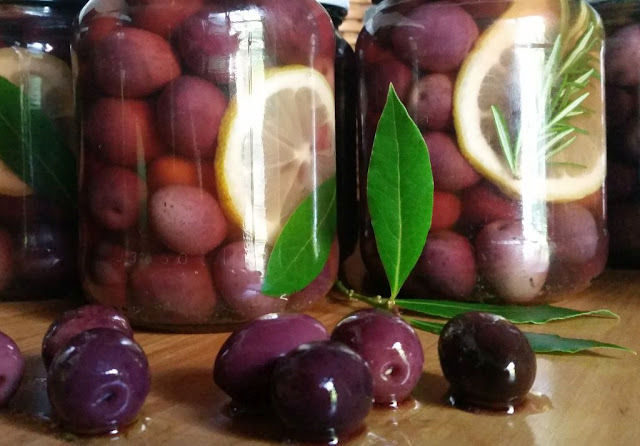 I am happy that I can buy the olives in the valley and that the Towerwater garden can provide all the ingredients required for the bottling. Besides, in this way we support local producers and reduce our carbon footprint. 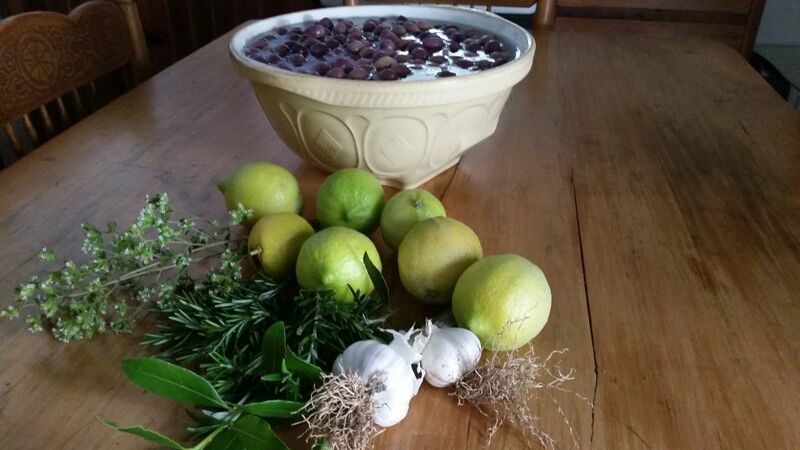 I am also firmly of the opinion, that all the local produce naturally complements each other. A meal of wine, cheese, olives, fruit, vegetables and bread, all produced in the immediate vicinity, provides for a true harmony of flavours. 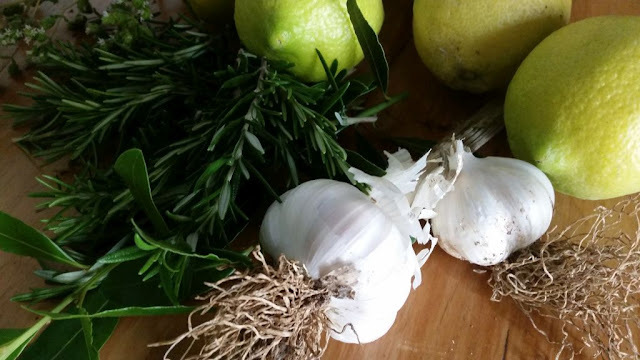 The Towerwater kitchen, with its fragrance of fresh herbs, lemon and garlic, transports me back to Tuscany for a brief moment. This, as I make the herb infused brine to pour over the olives in the preserve jars. What has impressed me most about traveling in other countries, is the pride that the locals have in their own food, culture and country. That has inspired me to embrace our own culture. 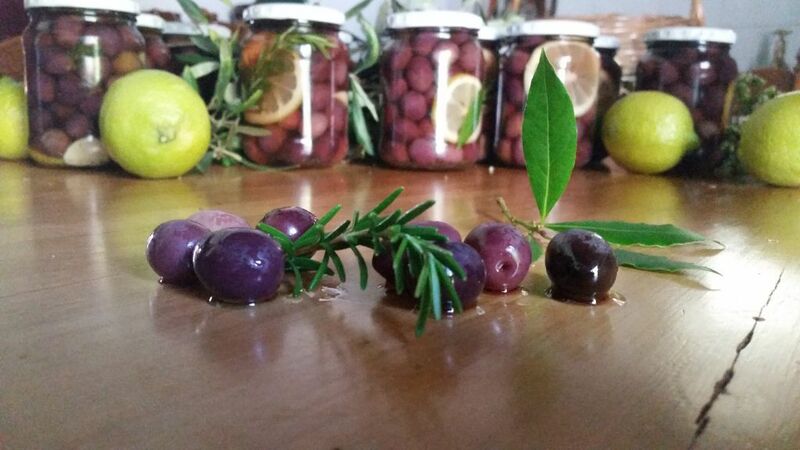 To create, develop and celebrate our own unique traditions and food flavours. The Towerwater garden and kitchen is the centre of harmony as I pack bottle after bottle of preserved olives with lemon, garlic and herbs from the garden, while working on the ancient yellowwood kitchen table. 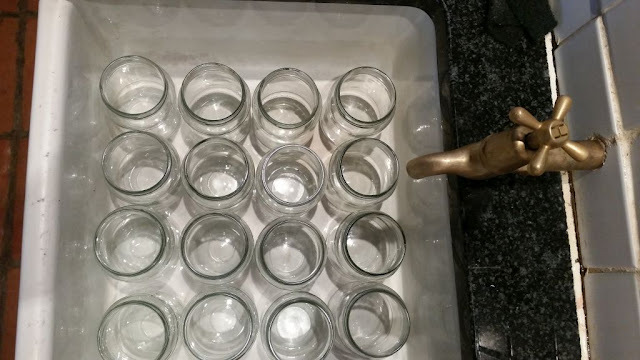 Jou bottels olywe lyk pragtig.....dit moet mens so 'n innerlike satisfaksie gee om te dink dit kom nie van 'n winkelrak nie. Lekker smul..
Dankie Ann, dit is lekker om jou eie handewerk op jou kombuis rak te sien staan. A bit of effort required. But, if these are as good as your previous year's, then it will definitely have been worth the effort. Shop bought, simply can't compare. Well done. Lovely images too as usual.